In this article, a novel Negotiation-to-Coordinate (N2C) mechanism is proposed to explore the interactive nature of the buyer-supplier relationships for dynamic environments. The proposed N2C mechanism uses prioritized fuzzy constraints to represent trade-offs among the different probable values associated with the negotiation issues and to signify how agents should make concessions. Supervisor agent in the N2C mechanism takes into account the conflicts of interest of buyer’s agent and supplier’s agent and the proposal and plan generated by supervisor agents helps in resolving the true and potential conflicts of interests for buyer’s agent and supplier’s agent. 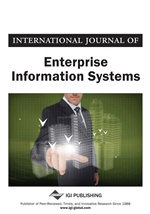 The proposed computational framework based on fuzzy constraints is suited for captur-ing the dynamics by modeling trade-offs between different attributes of a product leading to a fair and equitable deal for both suppliers and buyers. The efficacy of the proposed approach is demonstrated through an illustrative example.